When planning your new kitchen, one thing that requires a little consideration is the type of kitchen worktop that you are going to use to give you the perfect finish. 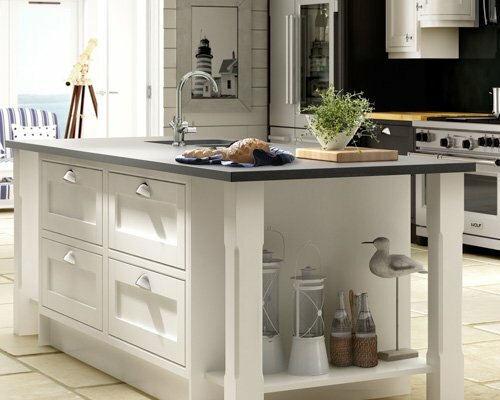 Our Kitchen Worktops and Breakfast Bars come in a choice of natural effect finishes. Choose from a range of finishes that will fit with any kitchen colour scheme. Granite is the most popular material for kitchen worktops and gives a quality feel to your kitchens. The vast range of colours and patterns available gives each kitchen a unique feel, and there are a range of choices for modern and traditional kitchens alike. Both honed and polished finishes are available. Granite is very tough, resistant to heat and mould and is often cheaper than engineered stone and composites. Quartz worktops, like their Granite cousins give a refined and polished look to any new kitchen. Quartz has a very sophisticated appearance and consist of no less than 90% inorganic materials, mainly quartz and silicone. Quartz worktops have the feel and weight of natural stone and due to their colour consistency, they are better than any other natural stone. Marble has the wow-factor and there’s nothing like its unique beauty. It is delicate, though, with more of an open grain than Granite, and as such it can work best as a section of a worktop in a different material, both to introduce a little of its luxury and as an aid to food preparation. We have an enviable array of solid wooden worktops, including oak, beech, walnut, bamboo, and much more. Every species has been expertly sourced, both in terms of the sustainability and quality of the timber itself and the precision of the equipment used in manufacture. As a result, we are able to provide the finest-quality wooden surfaces, manufactured to demanding standards. Laminates have come a long way in recent years. Now they can realistically mimic other materials, including wood and granite. It’s also the most cost-effective choice, perfect for light-use kitchens. Laminate might not be swish, but it’s definitely still the “safest” option on the market. The vast range of finishes means it’s possible to create the look you’re after. You can view our complete range of worktops at our showroom. 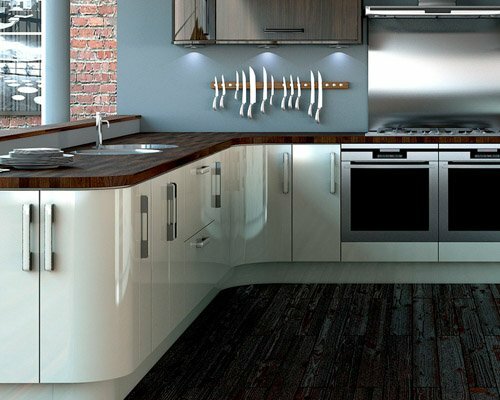 We can help advise you on the perfect product to give your kitchen that perfect finish. Contact us today to book a free, no-obligation consultation.